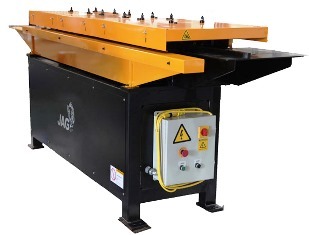 JAG Sheet Metal Machinery | CINCINNATI Precision Machinery, Inc.
JAG Machinery’s broad product range provides a one-stop source for all of your basic sheet metal equipment needs. 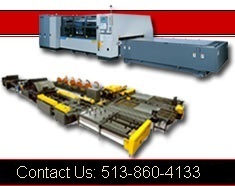 Whether you’re replacing a machine at the end of its life cycle, expanding the capacity of your existing facility, or starting a new duct shop, we have the products you need at affordable prices – Seamers, Flangers, Automated Seam Closers, Corner Insertion Machines, Pneumatic TDF/TDC Brakes and more. 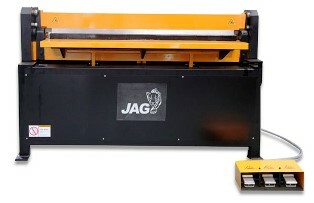 Based on proven designs, JAG Machinery is produced to U.S. standards and specifications. Our rugged and durable equipment is built to provide years of dependable service and is backed by a full product warranty. The FLANGER 1.6 automatically follows any edge—curved or straight. Use the convenient table slot to turn up a “starting flange” and let it go! A calibrated dial can be set for radii as small as 3-1/8? (2? when auto-guide is de-activated). 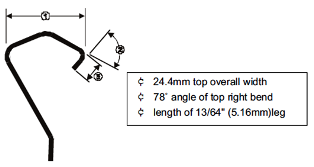 Machine can be set to produce either of two flange heights—approximately 3/8? (9.5 mm) or 1/4? (6.4 mm). 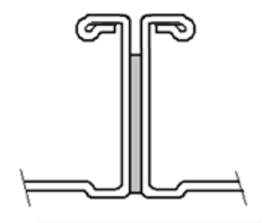 A non-releasing type head is suitable for open end fittings, straight and irregular curves. Automatically flange 16 to 24-gauge (.55 mm or 1.61 mm) material at speeds of 18 fpm (5.5 m/min). 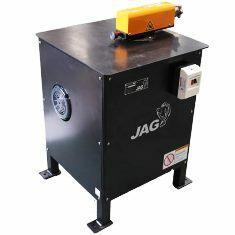 Standard with JAG quality construction, this machine has an industrial motor; heavy 3/4” (19mm) chassis plate; and an arc-welded steel stand protected with top-quality primer and paint finish. Roll your own flanges and pocket the savings. The TDC Rollformer has 12 forming stations and produces TDC flanges at speeds of up to 60 feet per minute (18.3m/min). 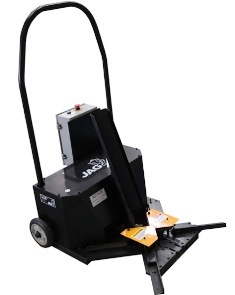 JAG quality construction with an industrial motor and gearbox; high precision bearings; heavy-duty three zone chassis; plate head construction; hardened and ground roll shafts all protected with JAG’s top-quality primer and paint finish. Optional rolls are available for TDC clip production (22 gauge). The 16-Station TDF Rollformer unitizes steel construction, high yield and tensile strength shafts, and “off the shelf” ball bearings. Optional rolls available for TDF clip production (20 gauge). Although the CORNER FIXER is portable and light in weight, it’s heavy on performance, automatically inserting and crimping TDC and TDF corners in seconds. In addition to handling virtually every style of duct, the CORNER FIXER also works with multiple types of straight fittings. Automatic duct squaring for ducts and fittings from 18 – 26 gauge (0.5 – 1.3 mm) galvanized mild steel. A free standing general fabrication wrap brake. 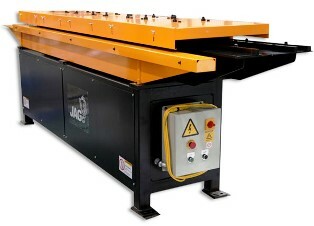 The AIR FOLDER is ideal for forming and bending panels and other flanged metal parts. Pneumatic operated, foot pedal control. Pneumatic drive clamping beam with automatic return.